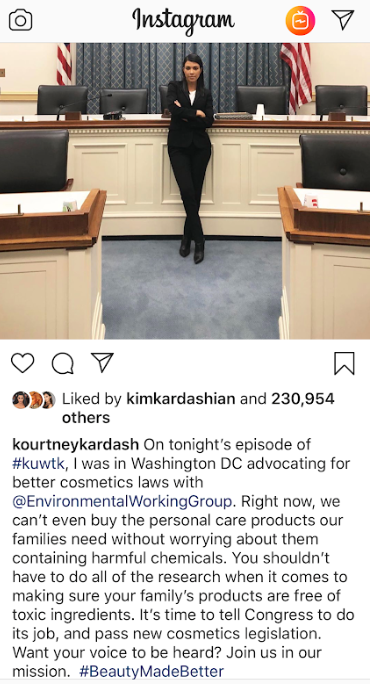 The latest episode of Keeping Up With the Kardashians chronicles Kourtney Kardashian’s day advocating for cosmetic reform on Capitol Hill. 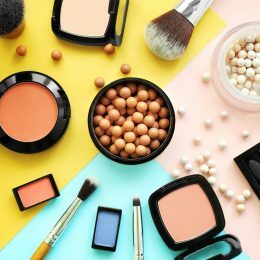 The reality TV star-turned lobbyist teamed up with Environmental Working Group (EWG) to convince lawmakers that cosmetics are unsafe, and to pass sweeping legislation to change how the U.S. Food and Drug Administration (FDA) handles cosmetics. Kardashian thoroughly prepared her pitch, purportedly asking her friend, “The House of Representatives. Is that what it’s called?” over lunch at a local steakhouse. Let us help you out, Kourt. 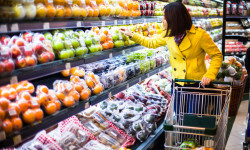 Currently, the Food, Drug and Cosmetic Act requires all cosmetics be substantiated for safety before reaching the market, prohibits cosmetic from containing banned ingredients, and requires labeling and packaging to be compliant with U.S. regulations. Put simply, the law already prevents cosmetics companies from selling dangerous products in the U.S. 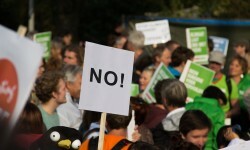 However, that won’t stop EWG from using any opportunity to raise alarm (and funds). While teaming up with a Kardashian rarely boosts your scientific credibility, EWG didn’t have a lot to start with. A survey of almost 1,000 members of the Society of Toxicology indicates that the vast majority of professional toxicologists believe advocacy groups, including EWG, overstate the risk of chemicals. The majority of these scientists also believe that cosmetics are safe. Health and safety policy is no place for exaggeration and manipulation. If changes to the way our federal government evaluates the safety of cosmetic ingredients originate anywhere, it should be from the research and experience of relevant scientific professionals. Not from celebrities bent on building a brand, and certainly not from an organization with a history of putting fear above scientific understanding.